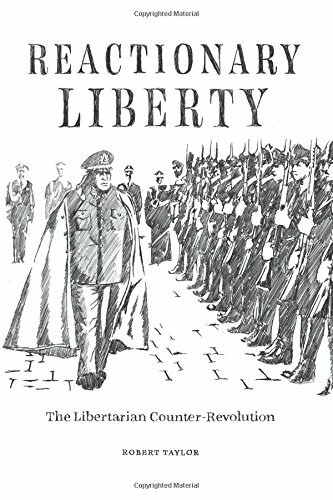 In Reactionary Liberty: The Libertarian Counter-Revolution, Robert Taylor argues that without a reactionary element to its philosophy, libertarianism can never be a serious movement because it will always fall victim to O'Sullivan’s Law: any movement or institution that is not explicitly right-wing will eventually turn left-wing. While libertarians may believe that they are “above” or “beyond” Left and Right, the Leftist infiltration of libertarianism (combined with the evolutionary psychology of r/K selection theory) proves that libertarians cannot be neutral. While offering private alternatives that can help to circumvent Leviathan—including the use of Bitcoin and cryptocurrencies, withdrawing consent, and the power of new technologies to create freer markets—Taylor poses questions that libertarians must answer if we are ever going to achieve a free society. Is democracy the highest form of political order, or does it only enable socialism to grow without limit? Will open borders and mass immigration expand, or hinder, liberty? What if cultural Marxism represents an equal or even greater threat to a libertarian society than the state? The Italian traditionalist Julius Evola embraced the reactionary spirit, calling it “the true test of courage.” With this book, Taylor blends this courage with a radical libertarianism to forge a coherent and forceful philosophy of liberty.